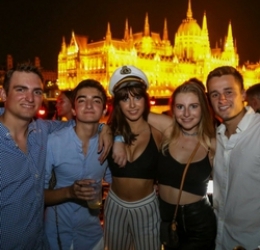 Budapest's most famous boat party, running all year round! A 2.5-hour all-you-can-drink boat cruise along the Danube River. 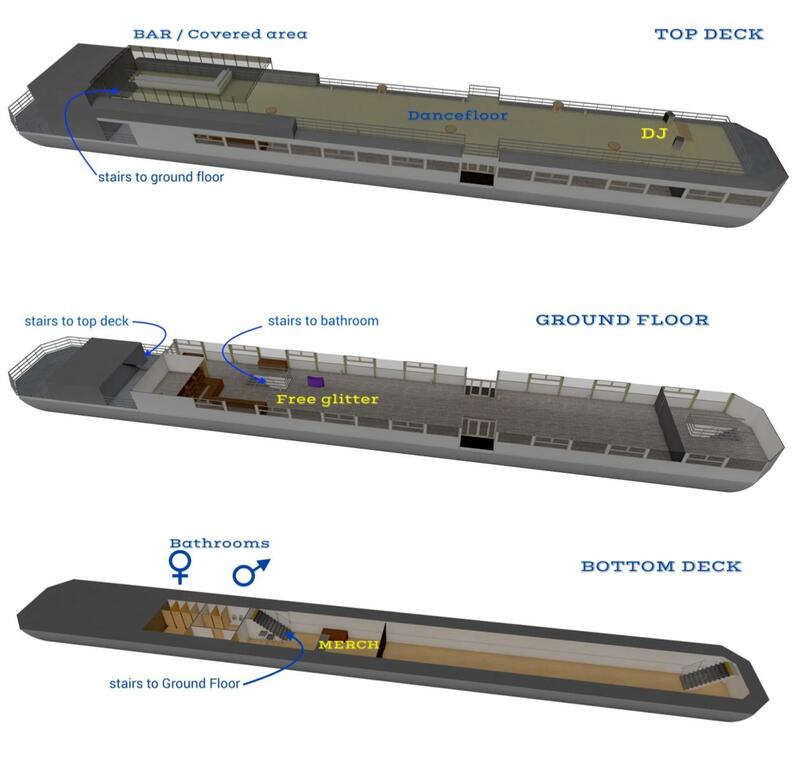 Shipwrecked X has not one, but TWO boats attached together with 2 different dance floors. The main stage will be playing remixed mainstream and electronic music while the second dace floor will be a throwback/retro room! As always, enjoy professional photographers to take your picture against the backdrop of some of Budapest's most famous sights and free glitter/face paint on board. The boat leaves at 22:30PM SHARP and cruises between the Margit and Lágymányosi bridge, giving you the chance to see the Parliament, the National Theatre and everything in between! You can expect from 300 - 500 guests on board, a guaranteed good night for proud party-lovers, this is one not to be missed! After the cruise, our staff lead all of our guests to a club where they are guaranteed free entry. 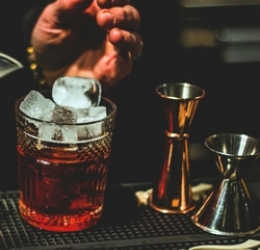 If the club has no entry fee anyway, then our guests also receive a free welcome shot.